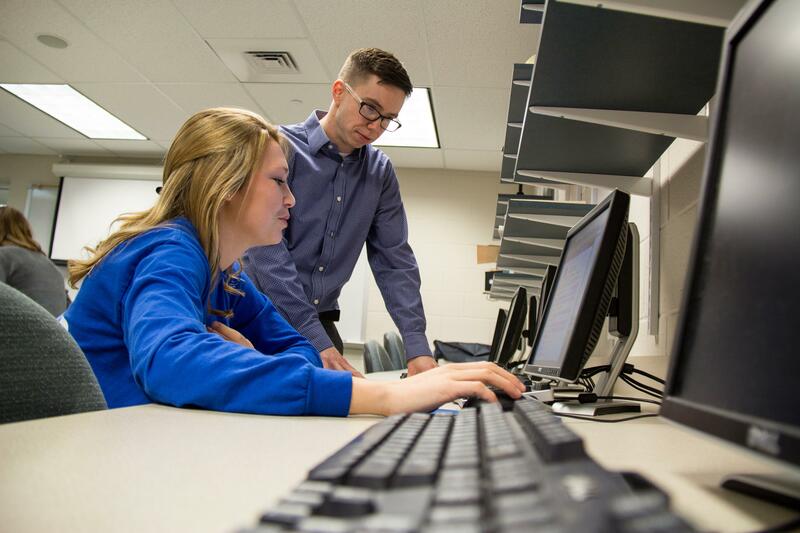 Psychology majors at Elizabethtown College are presented with many research opportunities. Through coursework, students refine their empirical abilities and develop a versatile skill set to serve them in the future. In addition to course-related research, many students are involved in the research of their professors. These experiences give students the skills (and the resumes!) necessary for graduate-level study or entering the workforce. Our program emphasizes empirical research because it encourages the development of critical and creative thinking skills and also provides experiences that are valued by graduate programs and in professional settings. 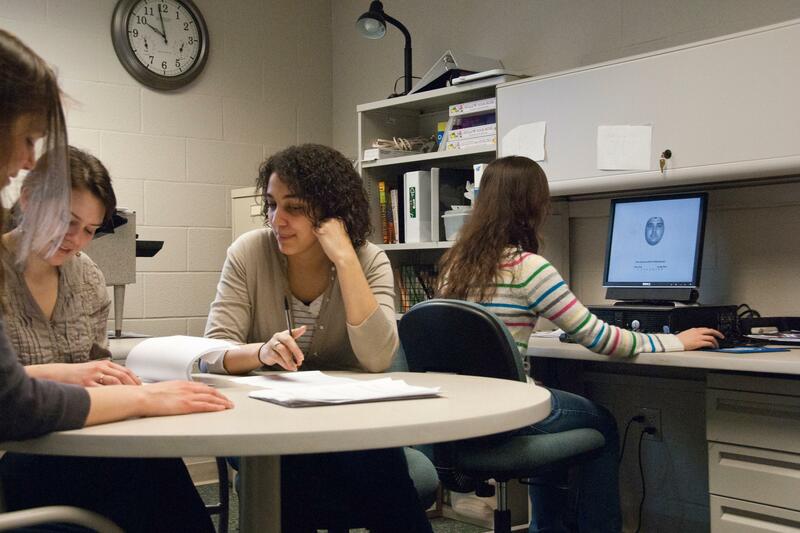 The Psychology Department has a variety of lab spaces that enhance the learning of our students and the scholarship of our faculty. The Psychology Commons houses our faculty offices along with the Psychology Computer Lab. The computer lab is a frequent gathering spot for psychology students and provides easy access to faculty members if students have any questions or concerns. 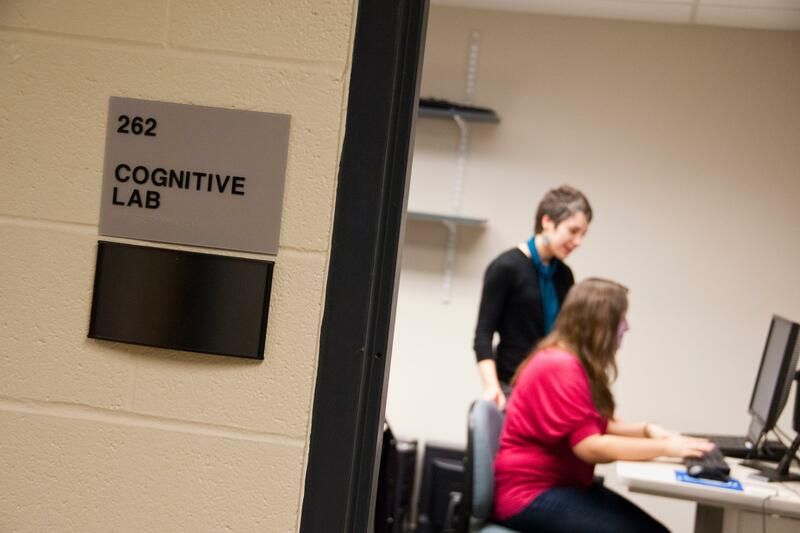 In our Perception, Cognitive, Social and Developmental labs, students assist faculty with their ongoing research projects while the Student Research Suite provides a space for students to conduct their own research. 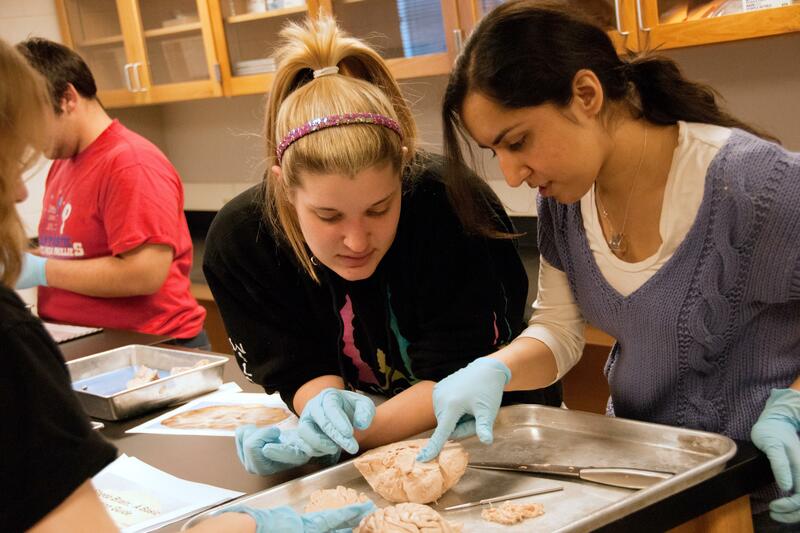 To support our popular “Introduction to Neuroscience” and “Sensation and Perception” courses as well as the Cognitive Science minor, the Psychology Neuroscience lab is used for class dissections and is available for use as a wet lab.